Over the past 40 years, Sea Pearls has pioneered major technology advances in diving weights. They remain the only company that die casts lead diving weight for the highest quality and most consistent product available. Their vinyl dipped weights and soft weights remain the industry standard. Reduces leg and fin buoyancy and minimizes back stress for a safer, more comfortable dive. 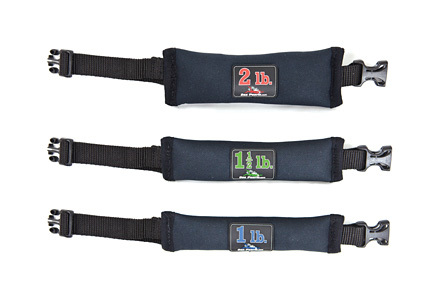 Buckles securely fasten weights and can be easily released with one hand. Form-fitting design and rugged construction. Ankle weights do not qualify for free shipping. Additional charges may apply. We will notify you of additional shipping charges.